It is good to get an idea ahead of your wedding hair and makeup trial of what to expect and prepare for. A trial is your opportunity to hone in on your favourite bridal style and to adapt the look to suit you. It is good to approach the wedding hair and makeup trial with a clear idea of how you would like both your hair and makuep. This is so that the time with your makeup artist can be spent perfecting the look and both of you can focus on the finer details. It is therefore good to have images of how you might want your wedding hair from all angles. It is also good to be aware of what you believe suits you and to talk that through with your artist so that they can fine-tune the wedding hair and makeup look to your taste. 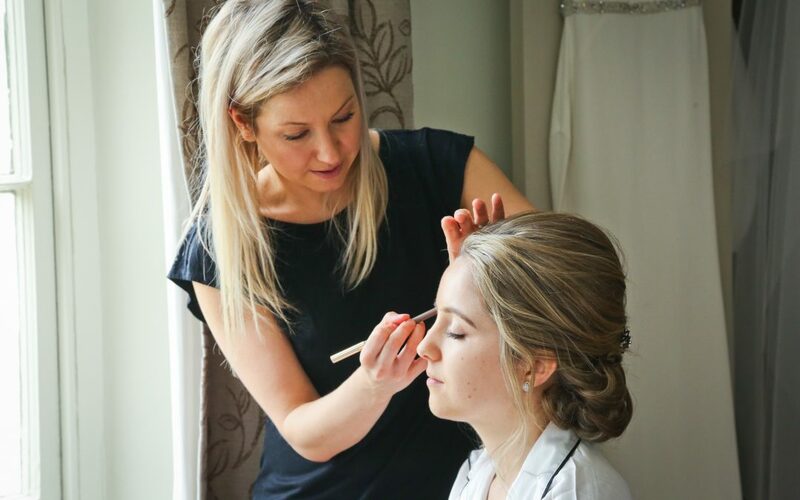 If you are unsure on anything or want advice then your wedding hair and makeup artist will usually have their own suggestions to help you where you want the help too. It is important to make anything you are keen on known to your wedding hair and makeup artist and anything where you want advice or to use your wedding makeup artist’s experience quite clear so that they can listen to your needs and create a wonderful wedding hair and makeup style for your wedding day.